Today we experience technology on our smartphones much before we experience it on computers or laptops. This insight has led to the development of these new laptop like machines or the Chromebook. These machines are powered by the Google Chrome OS and thus named as Chromebooks. They bring the much familiar Google experience right from our smartphone in to an evolved laptop form. Diminishing the line between Tablets and Laptops, these machines tend to revolutionize the way we work; and consume digital media. Here is a list of the most popular Chromebooks available in India. The pioneering product from Google comes in a fantastic looking design. It has a 12.85” screen with a 2560 x 1700 resolution at 239 ppi. Powered by the Intel 5th Gen Core i5 and i7 processors, it has 8 GB or 16 GB memory respectively. It comes in 32 GB or 64 GB flash storage variants. 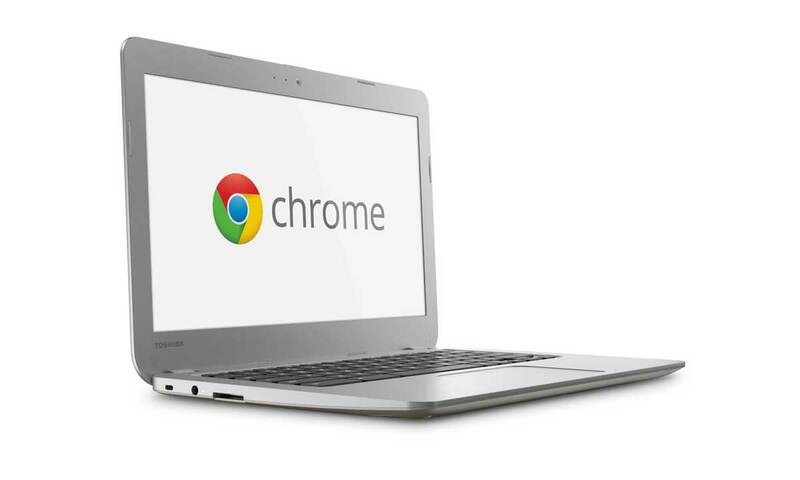 With up to 12 hours of battery life, the Chromebook offers a delightful multimedia experience. It also has Integrated Intel HD graphics 5500 and supports 4K video output via DisplayPort or HDMI. Probably the cheapest Chromebook introduced yet, it comes at a welcome price of 12999 INR. It is powered by the Rockchip RK3288 Quad-Core Cortex-A17 which gives up to 1.8GHz processing frequency, it has a 1M pixels (1280×720) camera and a 11.6 inch TFT, 1366×768 pixels screen. The Chromebook has 4200 mAh battery which can last up to 10 hours. It also has 2 GB of DDR3L RAM and 16 GB of storage space which can be expanded with an external SD card. One of the best Chromebooks from HP, it has a stylish design and comes in a cool aqua color. It is powered by the 4th generation Intel® Celeron® 2955U Processor and has the option of 2GB DDR3L or 4GB DDR3L RAM both with integrated Intel HD graphics. It offers up to 16 GB SSD memory and 100 GB of storage on the Google Drive. With built in Optional 4G connectivity, it also gives up to 9.5 hours of battery backup with its 4 cell 50 Wh battery. These new exciting devices promise to provide you a unique use experience right from the hands of Google. So explore these popular everyday use Chromebooks and see what you can do with the world of Google Apps at your disposal.